It's shaping up to be another amazing year at the Good Medicine Confluence! Last year we had an amazing time meeting all of the inspiring and unique plant people. What an accepting, open-hearted, and highly intelligent bunch of folks! I felt like I truly found my tribe there. 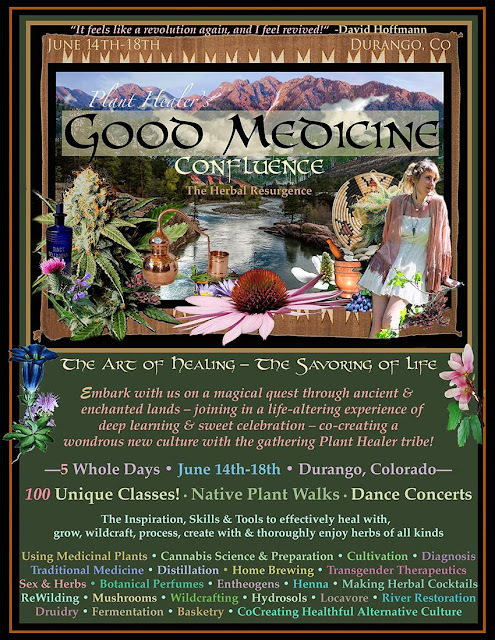 This year I'll be traveling back to Durango, Colorado again in mid-May to soak up more of the abundant green blessings. 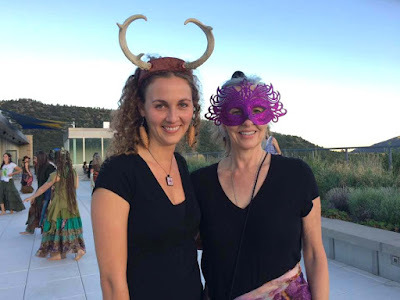 My Mama and I are especially excited for this year's masquerade ball, since we had a great time grooving to the beats under the stars last year. Throughout the ages, romantic love has been a bearer of both soaring joy and bottomless sorrow, exquisite pleasure and unbearable pain. When the sweetness of love turns sour or is cut short, we often experience heartache, heartbreak, grief, sadness, anger, and perhaps even a dark night of the soul. This class will focus onherbal allies that can help us navigate the complicated web of breakups, separations, and troubling relationship scenarios. Of course, there is no cure for a broken heart, but there are plants that can help us get through the experience with greater ease. We'll explore plant allies that can help ease the acute grief we feel in the emotional and physical heart, as well as plants that assist in releasing chronic or stagnant grief in the lungs. 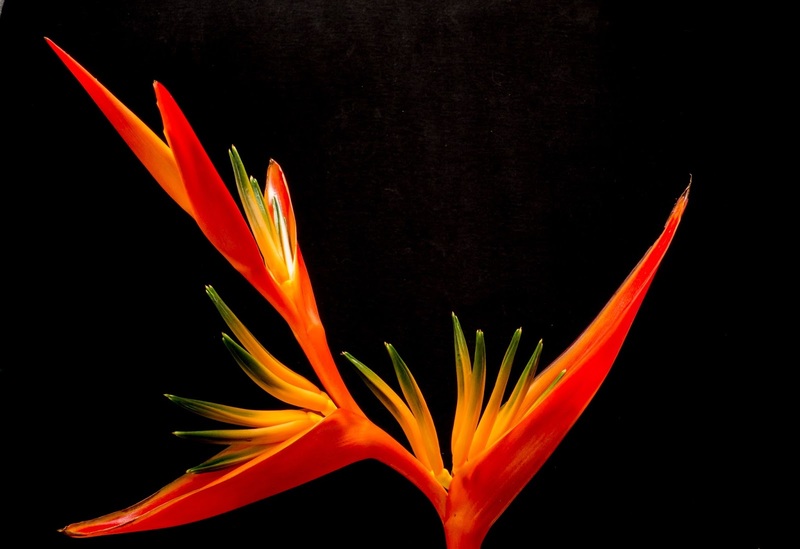 We will also look at plants that can help us attain the strength to cut energetic cords, reclaim our own identity, and gain emotional distance from relationships that are toxic, unhealthy, or simply no longer serve our highest good. 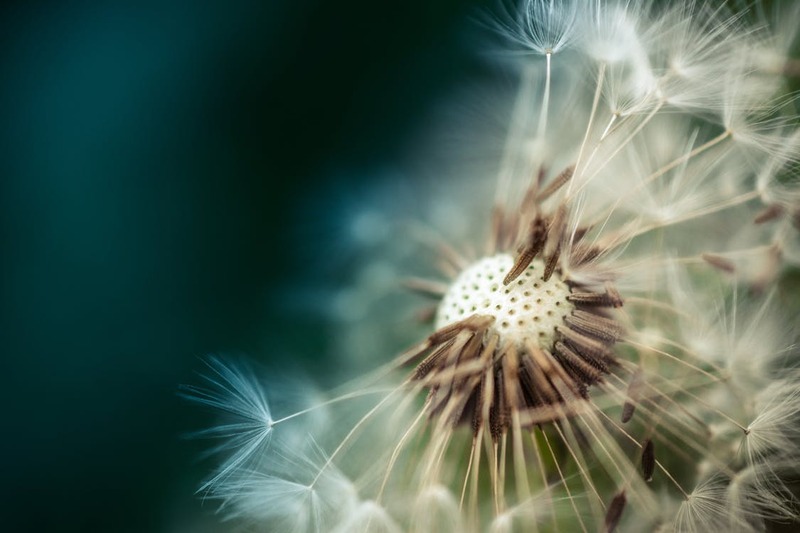 We'll also explore plants that support conflict resolution and ease emotional turmoil for times when we have to deal with external things like dividing possessions and changing our place of residence. We will spend some time covering deep issues that relationships stir up within us, like guilt, resentment, and crisis of identity. Above all, this class will honor and celebrate the strength and tenacity of the human spirit when going through experiences that cut us to the core and challenge us deeply. You are what you eat. We've all heard the old adage, but this is one saying that is true in the literal sense. The food we consume becomes the very molecules of our being. So, which would you rather be -- domesticated or wild? Wild foods have a special, vibrant energy straight from the heart of Mother Nature that is imparted to us when we consume them. 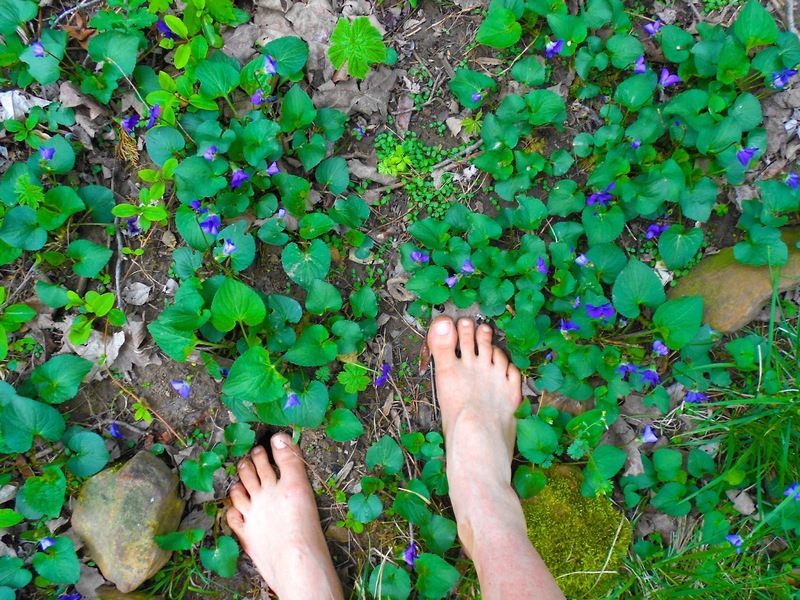 Eating wild foods makes for wild folks -- it is a way to reconnect with our primal roots while also maintaining vibrant health. By eating the strongest, most resilient and abundant plants, we become stronger, more resilient, and more abundant ourselves. Following the wise woman tradition of herbalism, incorporating medicinal weeds into our food is part of a healthy lifestyle, and it helps us get out of the paradigm of simply using plants like drugs to address symptoms. Wild plants are chock full of nutrients, vitamins, and minerals so that we can nourish ourselves using whole foods. Why take countless supplements when we can get optimal nutrition from foods found abundantly in nature? Wild edibles support our health from the ground up and are a great way to side-step conventional food and monetary systems while connecting with nature at the same time. Come and learn about a variety of wild and weedy edibles that also have medicinal and nutritive properties, as well as some yummy recipes and ideas for how to enjoy them. 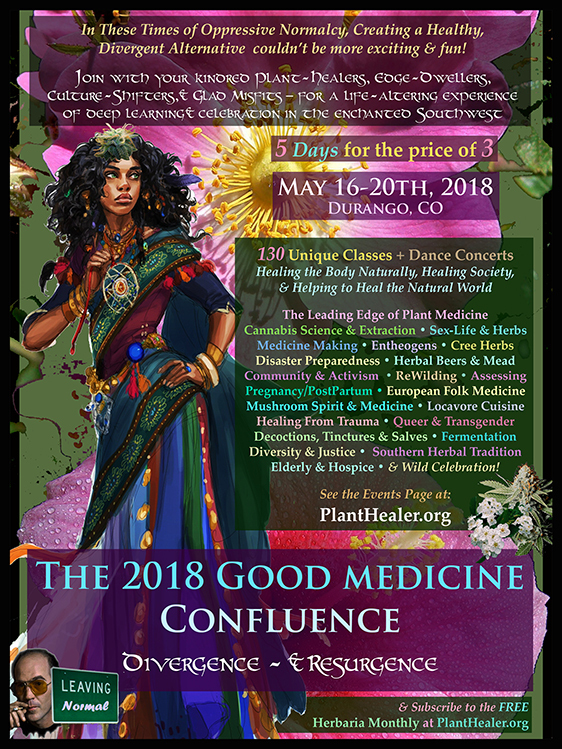 Meet Me at The Good Medicine Confluence! 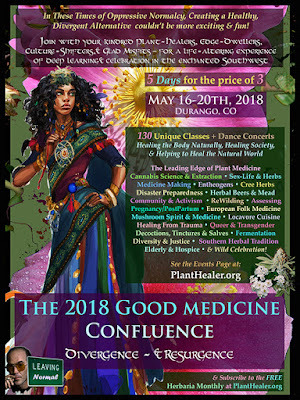 I'd like to announce that I will be teaching at this year's Good Medicine Confluence, which runs from June 14th-18th in Durango, CO. 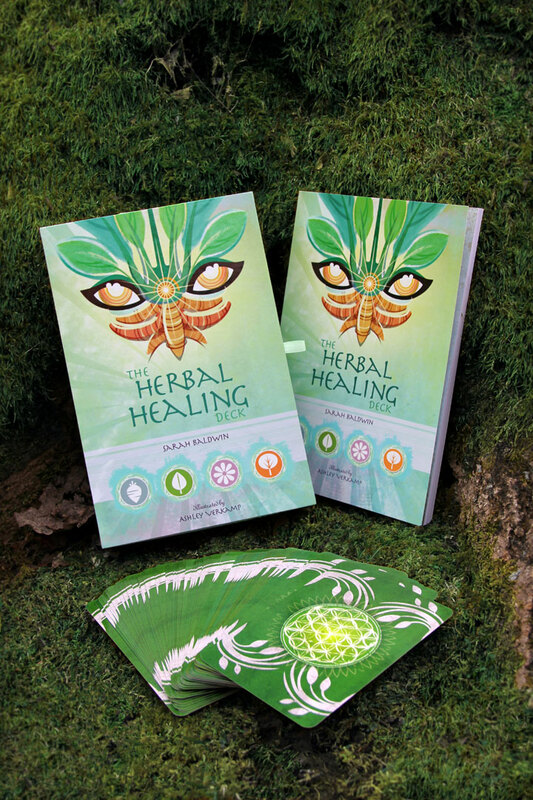 It is put on by Kiva Rose and Jesse Wolf Hardin, the two wild and creative souls who publish Plant Healer Magazine. 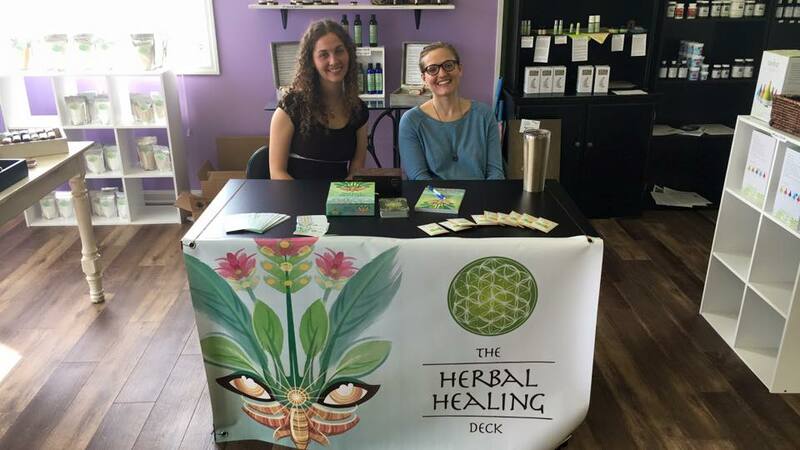 I will also have a booth there offering The Herbal Healing Deck with the deck's illustrator, Ashley Verkamp. 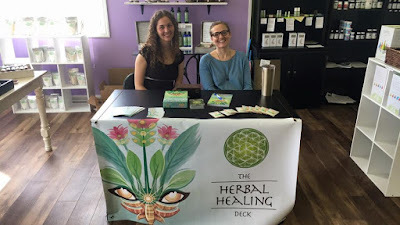 We would be delighted to meet you in person, have you draw a card from the deck, sign books, and talk about all things herbal and mystical. We hope to see you there! One of the most intriguing things about herbal healing is its ability to operate beyond the physical. Plants are great for healing the body, and that alone is a wonderful gift from nature. Yet despite what our reductionist science tells us, herbal healing goes much deeper than the actions of phytochemicals upon bodily systems. There is an element of the unseen in herbal medicine. Call it what you will: plant spirit healing, plant spirit medicine, plant spirit shamanism. I like to call it plant spirit magic, because that’s how it feels to me. Connecting and communicating with plants is definitely healing, but working with plants has other benefits as well. They show up in strange synchronicities to teach lessons; they deliver messages; they offer guidance and perspective. Reading the signs of nature is not only healing--it’s fun. It imbues a sense of magic into my life; it makes me feel like the world is speaking to me, and the sheer act of learning its language is causing me to evolve. Traditional cultures have long viewed plants as teachers and guides. Shamans and mystics use plants for gathering information. Plants are used in divination; some can induce prophetic dreams; others stimulate visions or help one traverse alternate realms. But learning how to read the signs of nature doesn’t have to be as wild as all of that. It can simply be a matter of learning the medicinal uses for a plant from the plant itself. 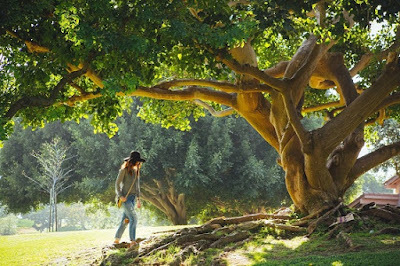 Some shamans have mastered the art of plant communication and can simply connect with a plant and discover how to use it for medicine. But for those of us who are still working on mastering clear communication with the plant world, nature does provide clues. These clues are embodied by the doctrine of signatures, the concept that a plant resembles the condition or part of the body that it can heal. For example, flowers from the herb Eyebright look strikingly like human eyes, and the plant is a remedy for eye ailments like conjunctivitis. Horsetail, as its name implies, has the appearance of a thick horse’s tail, and is used to strengthen the hair. 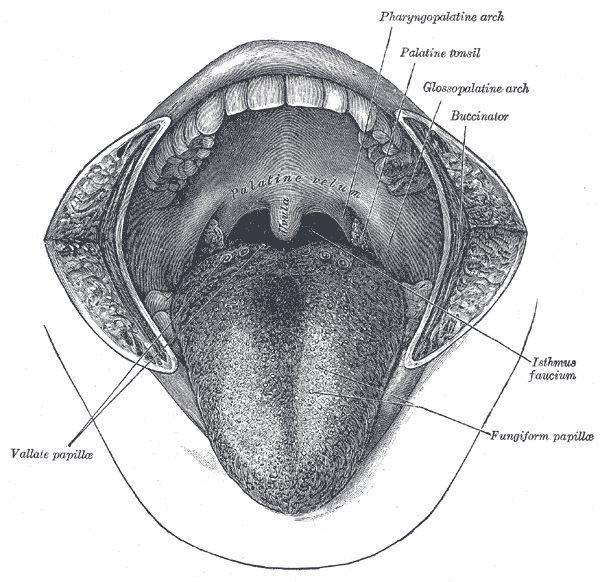 Signatures are also found through touch, smell, taste, odor, and even sound. Thus, the doctrine of signatures is an ancient concept with roots in folk herbalism, mysticism, hermeticism, and esoteric teachings on the healing arts. It’s a fascinating and rather mystical approach to plant medicine that stands in stark contrast to modern, conventional medicine. 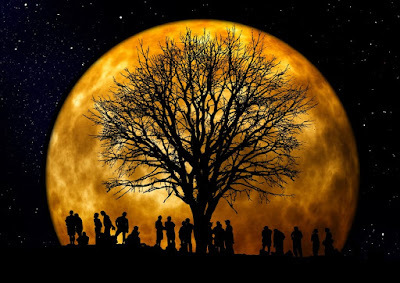 Rather than recognizing spirits, archetypes, or signatures within plants, science reduces them to their component parts based on a strictly materialistic view of reality. Although modern medicine rejects the doctrine of signatures, scientific research tends to validate it unintentionally. Modern science picks apart herbs and classifies them down to each chemical component present in the plant. As it turns out, Horsetail contains large amounts of silica, which is beneficial to the hair, as well as the skin, nails, and bones. In other words, it does help you grow your hair long and strong, like a beautiful horse’s tail. While scientists may inadvertently come to some of the same conclusions about plant medicine as mystics and folk healers do, their way seems a lot less fun. Perhaps modern medicine’s dismissal of the doctrine of signatures stems from a larger societal trend that also discards intuition. Not only does modern, Western society undervalue the primal intuitive force within each of us; it out-and-out rejects all but a tiny sliver of the broad spectrum of spirituality--namely, that which falls under the precepts of organized religion. What’s more, these religions often place little value upon one’s personal experience of the divine. 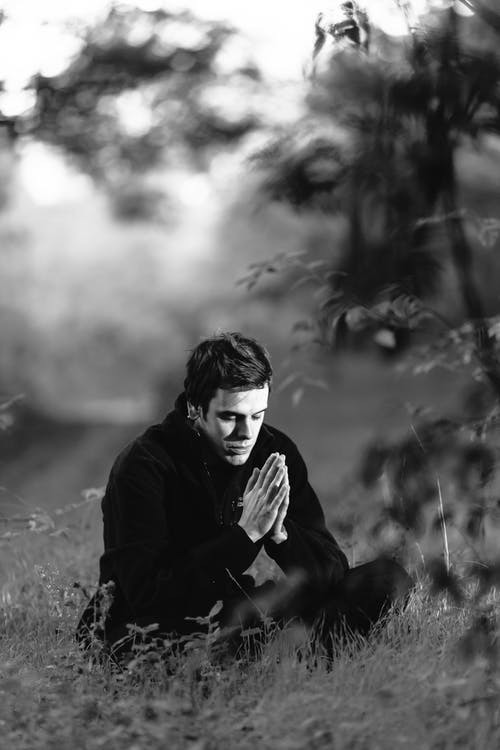 In fact, sometimes they actually prevent people from seeking the divine for themselves, mandating instead that the sacred is only to be reached through a human middle-man. Of course, this is not always the case, and some religious people are also very spiritual, possessing a great deal of devotion and faith. But the Western world itself is not run by devotion and faith, not by a long shot. According to the prevailing winds of our culture, the practice of going within is not hip-- unless it’s enacted by a beautiful woman in trendy clothing and then posted on social media. Cultivating intuition is not practical, unless it helps you win the lottery. Psychic ability is not a reality, because if people were truly psychic, wouldn’t they have already won the lottery? Miracles, if they ever really happened at all, must have only transpired in some far-removed, mythological past to which nobody can return. And yet, we live in a time when many are beginning to question the long, strong hold of patriarchy that has gripped our religious, political, financial, and social systems for so long. Several spiritual teachers have said that the Divine Feminine is on the rise, despite what we may read in the papers. I see this myself; I see people waking up, protecting Mother Earth with their lives, valuing the women in their lives, and valuing the Feminine within themselves, regardless of gender. I have often wondered what it might look like for society to start valuing the Feminine as much as it values the Masculine. And I don’t mean simply valuing women, though that would be nice, too. I mean the feminine energy that exists in both men and women. The side that values internal processes, dreams, visions, and feelings; the side that listens to an inner guidance system; the side that is receptive to messages from the invisible world. I picture people showing up to work in the morning and sharing the previous night’s dreams around the coffee maker. I picture doctors saying, “Let’s look at the astrological influences of the next few weeks before we schedule your surgery.” I picture business meetings that include Tarot spreads; I picture politicians asking for guidance in Ayahuasca ceremonies; I picture farmers consulting the phase of the moon before planting and giving gratitude to the Earth before harvesting. I believe that cultivating intuition is a valuable practice that benefits society as a whole. By reconnecting with the still, small voice within, we become more aligned with our highest potential. In a world so desperately in need of healing, our highest potential is what we must develop to create a better reality for all. Of course, intuition can be cultivated in a number of ways. Learning to read the signs of nature is only one, but it’s a powerful practice. Perhaps you already do this in one form or another. Many people, for example, interpret animal sightings as portends. If a bobcat crosses our path, we look up its meaning in a book and try to determine what message it might hold for us. Because this is such a popular concept, an entire language of animal totems has been developed by key authors like Ted Andrews and Jamie Sams. We collectively understand Hawk as the messenger and Coyote as the trickster. Plants can also be read as nature’s portends and message-bearers, although there isn’t as much literature out there regarding their meanings. This is part of why I wrote The Herbal Healing Deck--not as a definitive encyclopedia of plant meanings, but as a way of developing the conversation about plant totems. As with animal totems, plants can have different meanings for different people at different times. Thus, I don’t expect people to view my book as a static, authoritative reference; rather, my hope is that working with the deck helps people tune in with plant spirits and signatures in order to develop their own intuitive senses about plant archetypes. The messages offered by herbs are plentiful and can be expressed and understood in a number of ways. I once got a clear message from Mint plants overtaking my garden: “Be careful of what you start, as each project can take on a life of its own.” Anyone who has dealt with the ceaseless underground runners of this plant knows what I mean. (You can read the full story on Mint Magic here.) What we will focus on below is a very specific brand of messages offered by our green allies: specifically, reading the signs of nature as expressed in medicinal plants to determine what those plants can be used for--also known as the doctrine of signatures. To my mind, the doctrine of signature is like an intricate system of winks and nods from Mother Nature herself. (In fact, the word signature is a mix between the words “sign” and “nature.”) Gaia knows exactly how immersed in 3-D reality we are most of the time. She understands that we might need an occasional nudge in the direction of our intuition. From the beginning, Nature has wanted us to understand how to use her abundant medicines to stay healthy and happy in a dynamic and shifting world. So, she has left a trail of breadcrumbs--a map, a blueprint, a signature within the physical form of each of her medicines to help us mere mortals along our rocky paths through life. Matthew Wood, an American herbalist, author, and teacher is known for his attention to the doctrine of signatures and the archetypes of plants. As he points out, the more specifically you can match the archetype of a healing plant to a patient’s condition, the deeper the healing can be. Wood tends to use much lower doses of herbal medicines than most practitioners. His books were among the first I read while beginning my herbalism journey a decade ago, and for a long while I believed that a few drops of tincture was considered a normal dose. This was before I understood the true genius of Wood’s system: the more precise the remedy, the deeper the healing, and the less physical plant matter you need. Using intuition as a guide for discovering herbal remedies allows the herbalist to sustain a sense of magic and mysticism in his or her practice. It is both exciting and deeply fulfilling to get to know herbal allies, and it is a blessing and an honor for those who practice this work. While intuition plays a leading role in discerning signatum, many signatures have already been discovered and tested. This gives us a wonderful starting point and a reference for learning about individual plants and their uses. One has to do with the environment or habitat in which the plant grows. 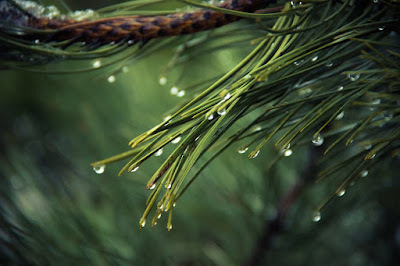 For example, many kidney remedies grow in wet areas. Returning to the example of Horsetail, this plant grows along streams and creeks, and it is also very good for the urinary tract. It has been used to treat kidney stones and urinary tract infections. Nettle is another plant that likes to grow in wet areas, and it has an affinity for the waterways of the body, such as the blood and urinary tract. Meanwhile, plants that thrive in full sunshine often possess sunny qualities. Think of such cheerful, warm remedies like St. John’s Wort, which can ease seasonal affective disorder or wintertime blues, or Calendula, which can soothe dry and irritated skin caused by winter weather. Also notable is the color of a plant, as different colors of berries, leaves, roots, and flowers can point to their work on different bodily systems. Herbs with a dark red color, like Sumac berries and Beet root, are associated with building the blood. Plants with white flowers, such as Boneset and Comfrey, are associated with healing broken bones. The color of a decoction or tincture made from an herb can also be a signature. For example, the blood-red color of a St. John’s Wort extracts has lead some herbalists to consider it a protective herb for women during their moon cycles, which can otherwise be an emotionally vulnerable time. Colors can also correspond to the chakras; for example, goldenseal’s bright yellow root is a signature for its action on the solar plexus, including the digestive organs. Wood points out that a plant’s shape or physical form was one of the first associations made in modern records of the doctrine of signatures. If a plant looked like a human organ, it was thought to act on that organ. Walnuts, which look strikingly like a human brain, are in fact very good for brain health. They are high in DHA, an Omega-3 fatty acid which has been shown to improve cognitive function and prevent age-related cognitive decline. Wood writes about using Black Walnut for treating scalp conditions, showing another affinity that this plant has for the head. Boneset has leaves conjoined at the stem, so it looks like the stem pokes through the center of a single leaf. This appearance of fused leaves points to its use as a means of helping to heal broken bones. St. John’s Wort has tiny perforations on the surface of its leaves that glow with light when held up to the sunshine. Likewise, St. John’s Wort can let the light into one’s heart and mind during times of seasonal affective disorder or depression. An herb’s texture is another signature. Furry plants are sometimes used for organs that are covered with hair-like cilia, such as the lungs and intestines. Mullein is a plant whose broad leaves are covered with soft fur, and indeed, Mullein is a used to heal the lungs. Comfrey leaves have cells that resemble a microscopic view of human skin, complete with hairs, and the plant is one of the best skin healers. Meanwhile, thorny plants are often used as pain relievers, “not by sedating it but by striking at the root cause of it,” according to Ellen Evert Hopman (2016, “Overall Shape and Formations” section, para. 6). For example, Wild Lettuce is a prickly plant that is used to treat physical pain. This can also extend beyond physical pain and into emotional pain. For example, Hawthorn is a thorn-bearing tree that can heal emotional pain of the heart. Scent is another element to consider within the doctrine of signatures. Think, for instance, of the smell of Eucalyptus, and your nose will recall an intense opening experience. 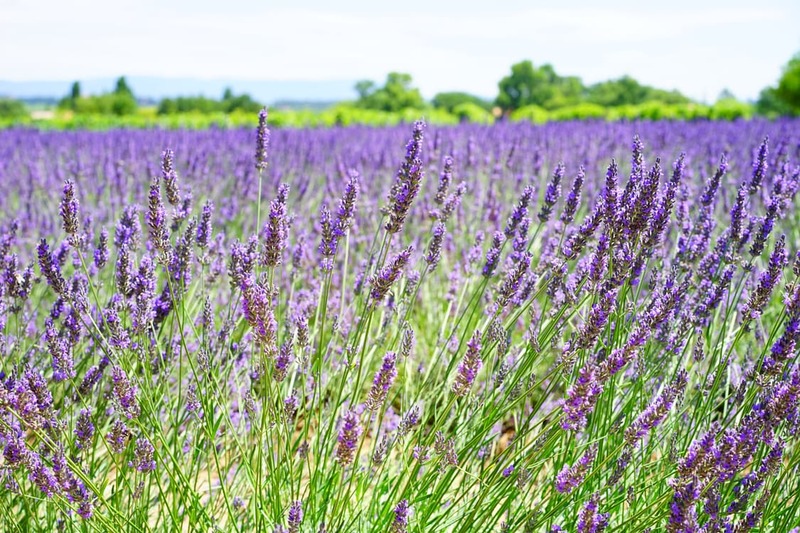 Highly aromatic herbs contain large amounts of essential oils, which exit the body via the breath, helping to open the lungs and nasal passages. Another example is the stimulating and cooling aroma of Peppermint, which exactly mirrors its cooling and stimulating actions on the body. Even the sound that plants make can be a signature. Wood cites the rattling sound of Black Cohosh seedpods as a signature of the plant’s use among Native Americans for snakebites. Wood calls this a “spirit signature,” the Native American idea that if a plant calls to mind a certain animal, or if it attracts a certain animal, then the plant possesses the medicine of this animal. Thus, we have come full circle back to animal totems, which really aren’t so different from plant spirit totems. To my mind, one of the biggest differences is that plant totems are more subtle--they don’t jump out in front of your car or scratch at your door. Thus, we must keep our eyes open to the quiet urgings and messages of the plants. Yet, plants can occasionally speak to us in more dramatic terms: a Pine tree falls across your driveway, Mint takes over your garden, or you get a Poison Ivy rash. These may not be signatures, but they can certainly clue you in that a plant is trying to tell you something! Using the doctrine of signatures is a way to deepen your practice of herbal medicine. But more than that, it’s a way of communing with nature. Observing a plant and attempting to discern its uses based on signatures a valuable thing to study, even if you never plan to start your own clinical herbalism practice. It’s a way to start reading the signs of nature and allowing your intuitive self to open up to the messages of plants. Plants have many messages for us, if we only pause to listen. Signatures can go beyond physical uses for plant medicines and into the realm of energetic uses, messages, and lessons. One example I gave above was Hawthorn’s thorns being a signature for its ability to relieve emotional pain. Another example is the yellow color of Daffodil blooms, which can be made into a flower essence for boosting the solar plexus, the yellow chakra. Daffodil helps with solar-plexus-related issues such as self-worth, confidence, and the recognition of one’s gifts and talents. Don’t be afraid to open your mind and use your imagination when looking for signatures. I encourage people to open up to nature with a sense of childlike wonder and awe. Children often talk to animals and plants before society programs them into believing that such things are silly. It’s time to take back our innocence and start talking with the plants again! Even Matthew Wood admits that some of the signatures he perceives can be silly or even cartoonish at times--but they still work. Imagination is just another level of intuition. So, the next time you’re playing in the garden or hiking through the woods and find yourself drawn to particular plant, ask yourself: What does this plant remind me of? Of course, it takes patience to work with plants--their signs, signatures, and spirits. In the same way it takes several years for a single American Ginseng root to develop into a mature, medicine-ripe specimen, the plants often share their teachings bit by bit, over the course of months or even years. Synchronicities will often line up to confirm something I’ve learned by intuition, and sometimes this process happens in slow-motion. Just when I think I have understood a plant’s message, it evolves into something new as more information comes to light. It’s a process, a journey that is well worth the effort, even if it never leads to an exact destination. Working with plant signatures is much like a hike through the forest. It’s such an enjoyable experience of exercise and expansion unto itself; does it even matter where you end up? Cowan, E. (1995). Plant spirit medicine. Columbus, NC: Swan, Raven & Company. Wood, M. (1992). 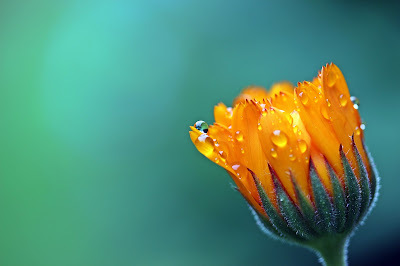 Vitalism: The history of herbalism, homeopathy, and flower essences. Berkeley, CA: North Atlantic Books. Wood, M. (1997). The book of herbal wisdom: Using plants as medicines. Berkeley, CA: North Atlantic Books. Herbal medicine-making is an ancient practice that has been passed on for centuries in all cultures, from East to West. In European history, such herbalists were often wise, intuitive women who passed down their favorite tried-and-true remedies from mother to daughter. These medicine-makers were rooted in the garden and the forest, creating healing potions from the fruit of the Earth herself. Alas, during the rise of the Roman Catholic Church in the fourteenth century, such female healers were persecuted as witches. Thousands of our wise women ancestors were tortured and killed as a result of this widespread fear of the healing power they possessed. Now, the herbalist’s battle is with the aftermath of the Industrial Revolution, which greatly altered Western society. Herbalism was cast aside by cold, hard allopathic medicine that replaced all kinds of holistic healing. However, herbal medicine is enjoying a cultural comeback, and both men and women can practice without fearing a witch-hunt. As a highly intuitive art form that engages Mother Nature at her finest, herbal healing can be considered a feminine tradition, whether it is practiced by men or women. As we pick up the caduceus and begin our paths as herbal healers, we reclaim the Wise Woman tradition that has managed to survive persecution and trivialization. Nothing empowers the inner “witch” more than concocting a potent potion. Tinctures are extracts made by soaking herbs in a mixture of alcohol and water. Sometimes they contain other substances such as apple cider vinegar or vegetable glycerin. Tincturing has many benefits, including potency, longevity, and time and cost efficiency. The basic idea behind tincturing is to extract specific healing components from the plant in a form that will remain shelf-stable for years. Because the plant’s constituents are pre-extracted, your body can make better use of the medicine. With herbal capsules, the body must process the herb; consequently, much of the medicine is lost before being absorbed. Infusions are better, but many people don't take the time to make tea on a daily basis, and some herbal compounds are not water-soluble. Because tinctures effectively extract the medicinal properties of plants, they are very concentrated, and dosage can be a matter of drops. 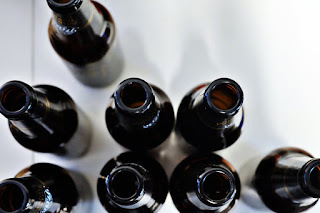 Plus, alcohol acts as a natural preservative, allowing tinctures to remain potent longer than dried herbs, which tend to last for only about a year or so and take up much more shelf space. Tinctures are easy to make, easy to store, easy to carry, and easy to administer. The convenience of dropping a few drops into your mouth or drinking water makes this powerful medicine accessible in today’s busy lifestyle. To create your own tincture, fresh or dried plants can be used. Usually, fresh plants are preferred in order to capture the spiritual essence of the plant and provide the best taste. However, some herbs may not be locally available, so ordering the dried herb also works. When picking your own herbs from your garden or the wild, be sure to choose high-quality plant matter. Do not pick leaves or flowers that are yellowed or dried. If wild-crafting, be mindful not to pick plants that grow along roadsides, as they may have absorbed pollution from traffic. 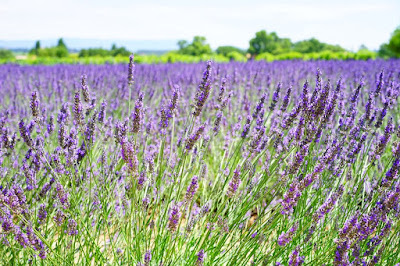 In general, pay attention to the environment and pick herbs from rural areas with little pollution. (For more information about wild-crafting see my post on wild-crafting basics). A bit of research will determine which part of the plant to use. 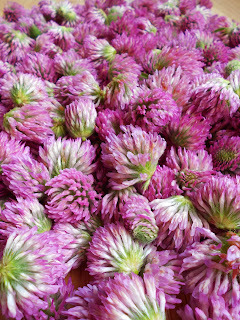 Perhaps you already know from seeing dried Calendula flowers, Red Raspberry leaf, or Dandelion root for sale in stores. For herbs such as Calendula and Lavender, the flowers alone are the most potent part. Other times, the leaves are the preferred portion, as in the case of Sage and Tulsi. Sometimes, you can harvest the top few inches from a plant, picking down to where the stem is still tender, like with Catnip. In some cases, different parts of the plant have different medicinal actions. For example, flowers from an Elder tree help calm allergies and drive out fever, whereas Elder berries are used to build the blood and boost the immune system. For the timing of your harvest, it's helpful to think of where the plant’s energy is concentrated throughout the season. If you are only harvesting leaves, it is better pick before the plant flowers. Once blossoms form, the herb focuses its energy on creating flowers, so the medicine begins to fade from the leaves. Harvesting the root of a plant is usually done in the fall, when the above-ground portion dies back and the plant’s energy is concentrated within the root. Early spring is the second-best time to dig roots; avoid doing so when the plant is in full bloom. 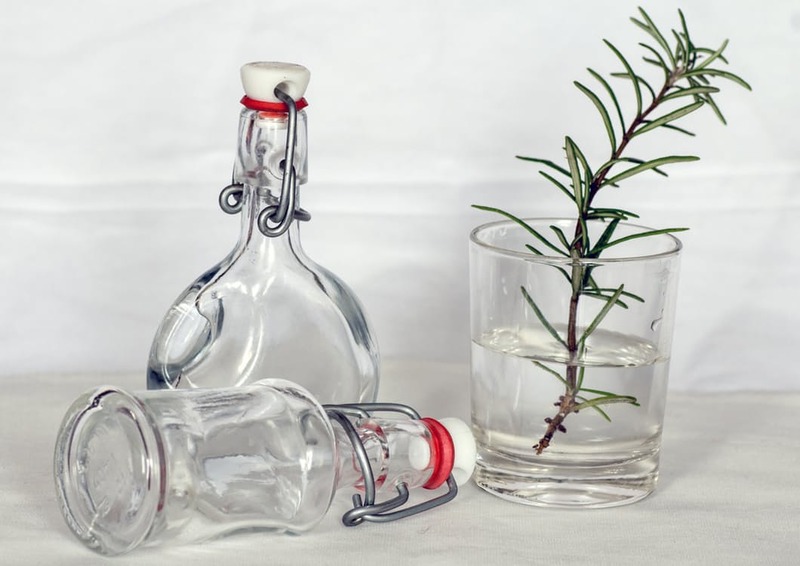 For beginners, the easiest way to tincture is with good-quality brandy or vodka. Brandy tends to bring out the sweet qualities of an herb, creating a delicious brew. Made from grapes, brandy also helps circulate the medicine throughout the body. Vodka also makes a nice, strong tincture. 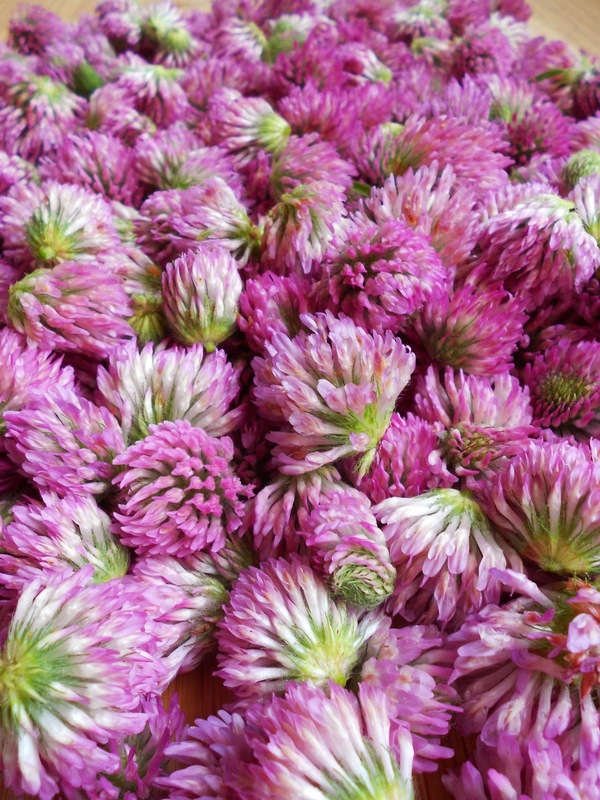 Because it is clear, the vibrant colors of the herbs come through beautifully. Both brandy and vodka contain a certain percentage of water that is conducive to tincturing, so no further dilution of the alcohol is needed. For more advanced medicine making, you can use alcohol containing a much higher proof. This should be bought from a company that creates the alcohol specifically for tinctures, so that you are sure to get high quality. If possible, buy organic 190-proof alcohol (my favorite company to buy alcohol from is Alchemical Solutions). Then, you can dilute it to control the ratio of alcohol to water. As your herbal knowledge grows, you can start to learn which components of plants are alcohol versus water soluble, and this will help determine what percentage of alcohol to use. In the meantime, Michael Moore's Herbal Materia Medica provides a list of his recommendations for alcohol percentage for tincturing various plants. Some herbalists also add vinegar or glycerin in order to extract specific constituents of certain plants. Once you have the plant matter and the alcohol of choice, the process of maceration can begin. This simply means soaking the herbs in the liquid for a certain amount of time. The liquid used for tincturing is referred to as the menstruum, a word that hearkens back to the Wise Woman tradition. As James Green suggests, this is where the alchemy of medicine-making lies. The mixture of water and alcohol begins to absorb the essence of the plant material, so that neither the liquid nor the plants remain the same. The first goal is to get the herb into as fine a material as possible. If using dried herbs, it is best to purchase powdered herbs for tincturing. If powdered herbs are not available, you can put the cut herbs into a blender or coffee grinder to chop them finely. If picking your own, chop the plant material into small pieces. Again, there are basically two ways to macerate: the folk method and the more precise method. Depending on which herbalist you ask, both have a lot of value. The folk method does not require much equipment and can be done by beginners who want to get started on their home apothecary. A more precise method is available for those who may want to market their herbal products and need to know more precise dosages for clients and customers. Using the folk method, simply place the chopped herb into a glass jar and cover it with the vodka or brandy. 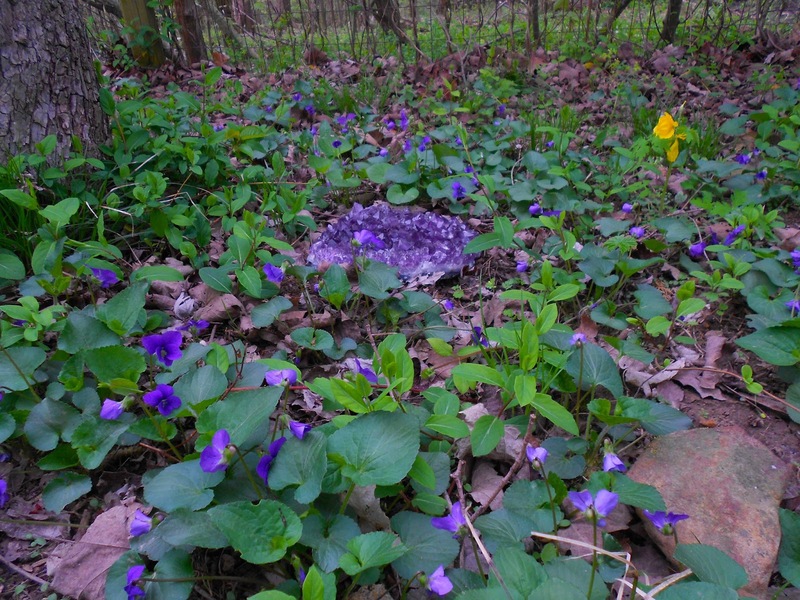 Viola—you have the miracle of maceration! To avoid oxidation and browning, try to make sure the herbal material does not stick out above the liquid. You can always place a stone or quartz crystal on top of the mixture to press down any stubborn leaves. If you wish to make a precise or professional tincture, some measuring is involved. You will start by weighing the herb using a scale that can measure ounces or grams. Once you know the weight of the herb, you can determine what volume of liquid you will need. For all fresh plant tinctures, the standard ratio of herb to menstruum is 1:2. In other words, for every ounce of fresh herb, you would add two ounces of menstruum. Using this method is sometimes challenging, because the fresh plant material will almost certainly rise above the level of liquid in your jar. This is when weighing down the plants with a stone or crystal comes in very handy. Another way to avoid oxidation is to choose a jar that you can completely fill to the top with the herb and menstruum, so that very little air remains in the jar. To get rid of stubborn air pockets, stick a butter knife in your maceration and gently tap around to release the bubbles. For dried plant tinctures, the typical ratio used is 1:5 or sometimes 1:10 for very potent plants. This is because dried plants have no water content and are more concentrated, so more liquid is needed to make a tincture. Now that we’ve got the technique of maceration down, let’s talk about the magical nature of tincturing. There are energetic layers to this ancient art form that go beyond science and into the realm of energy and spirit. The timing of maceration can be based on the cycles of the moon, adding another layer to the feminine nature of medicine-making. Starting a tincture on the day of the new moon imbues the potion with the energetic potential of new beginnings. Following this natural cycle, pressing a tincture on the day of the full moon bestows a sense of fullness and completion. The tincture then contains the resonance of the natural cycles of birth, death, and rebirth, which are instrumental patterns in healing. This seems to point to another lesson in healing that is much-needed in Western society. By taking the time to slow down and honor the sacred cycles of life, we can better heal ourselves and others. When you are ready to press the tincture, pour the liquid through a fine cheesecloth, catching the liquid in a jar or measuring cup. Squeeze out the remaining liquid as best as you can--a process which can take some effort and patience. Compost or discard the spent herbs, which are referred to as the marc. Once you’ve finished pressing the tincture, pour it into a colored glass bottle and store in a cool, dark place. It should last three years or longer; taste will help you determine if your tinctures are still potent. Dosage will depend largely on which herb you’ve tinctured. Before using any herbal medicine for the first time, research its level of potency and toxicity. A standard material dose is typically around 20-40 drops (about one dropper-full) given 2-4 times per day. Some herbalists use much smaller doses, however, depending on the circumstance. For example, Matthew Wood tends to use very specific remedies based on signatures and archetypes, so he is able to find precise remedies for people and only use 1-3 drops at a time with powerful healing effects. When it comes to unknown herbs, try to start low on the dosage scale and remain attentive to subtle changes in your body, mind, and spirit. To connect with a plant energetically, you might place a single drop of tincture on your tongue and sit quietly, noticing the subtle effects of the medicine. This is called a drop dose or spirit dose. While meditating with the medicine, you can ask yourself questions like: Does this feel warming or cooling? Where does it travel in my body? How does it make me feel? Does it bring up any images or memories? This process is a great way to hone your intuition, and get to know your medicines on a personal level. Above all, the most important thing is to enjoy yourself while making and using tinctures. A combination of medicine and cooking, tincture-making is certainly an art form that varies greatly depending on the artist. 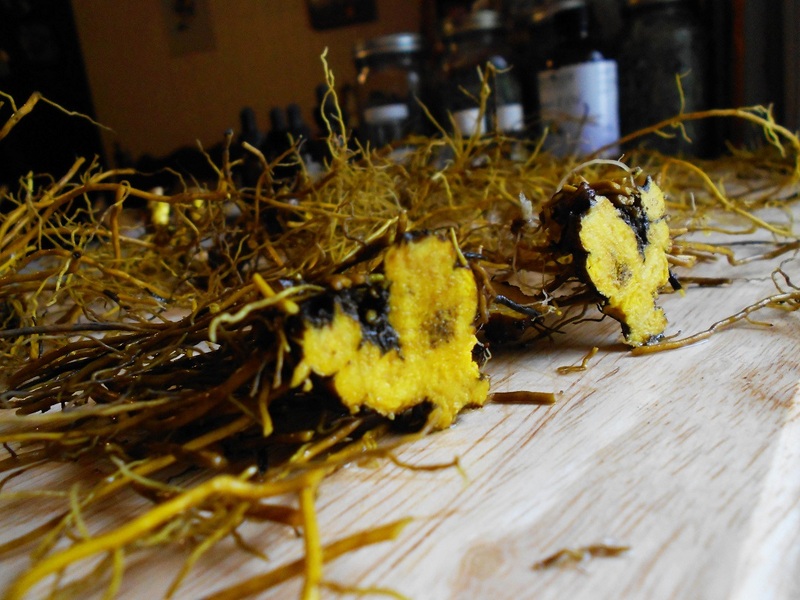 As arguably the best way of administering herbal medicine, tincturing is an invaluable tool. Making medicine allows us to literally take our health back into our own hands. 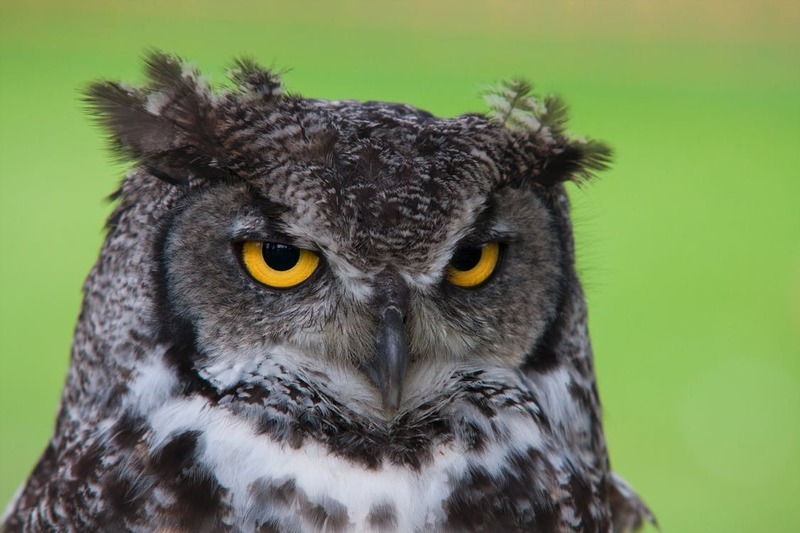 By doing so, we honor the wise, intuitive aspect of our psyches that lives within all of us. So, you want to start using the abundant medicines of Mother Nature? To herbalists, the practice of harvesting wild plants and fungi is called wildcrafting. This can be a long trek through deep woods or a quick step into your own backyard. 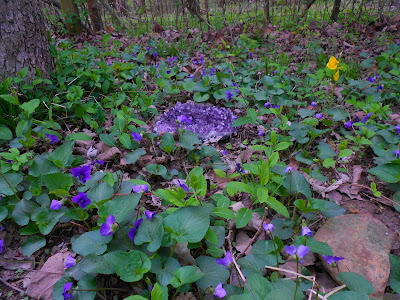 It counts as wildcrafting as long as the plants sprung up independently--in other words, they weren't grown by people. Wildcrafting is a great way to get your herbal medicine for a few different reasons. For one, the plants are very fresh and rather inexpensive (by which I mean free). Wildcrafting is also a way to get in tune with the wild world and appreciate the bounty that grows all around us. It’s a practice that brings us back to our roots, literally and figuratively. Long before our ancestors farmed, they were hunters and gatherers, counting on what they brought home in their baskets to keep them alive. Even now, we too can return to nature and rediscover the life-giving plants that our ancestors used. 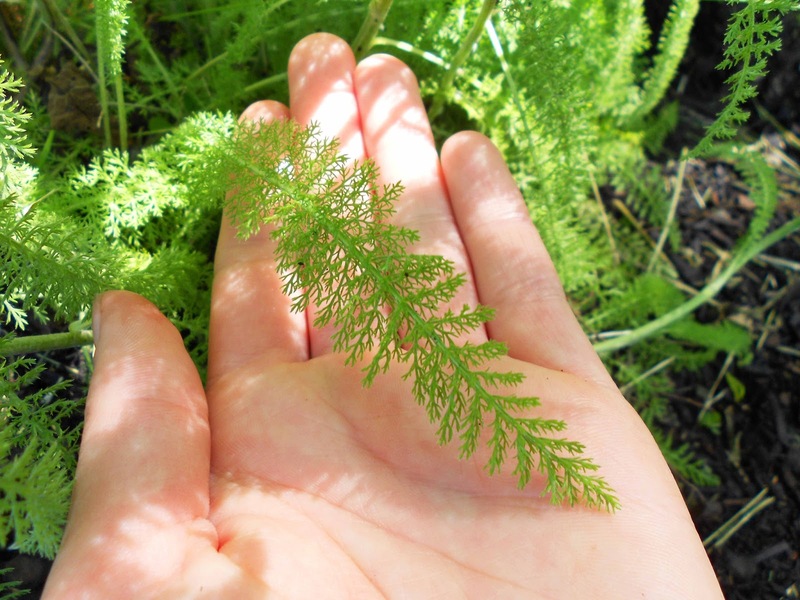 The single most important aspect of wildcrafting is learning how to properly identify the plants--it can mean the difference between medicine and poison. Get yourself a good field guide for your area and start with what’s in bloom--flowers are by far the easiest way to identify plants. Even better, take a class with an herbalist, or find a trusted person who knows the local flora and go on a plant walk together. Before harvesting a plant, do some research to find out if it has any poisonous look-alikes. Queen Anne’s Lace is a notable example here, as its look-alike Poison Hemlock can be fatal when ingested. The two plants have several notable differences; for example, Hemlock has purple blotches on a smooth stem, and Queen Anne's Lace has a furry, green stem. But, every year a few people perish from picking Poison Hemlock by accident. (For more information on identifying these two plants, here's a more in-depth comparison.) When in doubt, don’t take any chances—especially with mushrooms. (Our fungal friends can provide delicious food, powerful visions, and deep healing...but they can also melt your insides. Identification is tricky at best, so be certain that you're certain.) Better safe than sorry! When taking plants from nature, respect is crucial. Humanity in general must learn to revere rather than pillage our planet, and although herbalists are usually nature-lovers, the same is true when it comes to medicinal plants. Some herbs have become endangered due to over-harvesting, and it is the responsibility of each of us to ensure that these plants stay on the planet for future generations. United Plant Savers is an organization committed to this goal, and they have compiled a list of at-risk plants (click here to check it out). 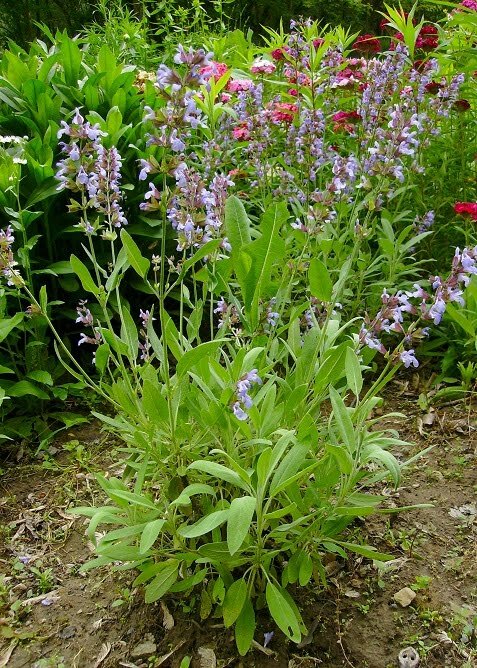 If your desired herb turns out to be rare and endangered, it’s best to leave it alone in the wild. You can often find suitable alternatives, as many different plants can be used to treat the same condition. But, if your favorite at-risk plant is simply irreplaceable in your eyes, believe me--I get it. Each plant has its own unique personality and spirit, and sometimes only the one you want will do. In this case, consider buying it from a sustainably-grown source--or learn how to grow it yourself! While growing at-risk plants like Goldenseal can be a challenge, it can also be an empowering experience, in which you also foster your own growth. In this way, you enter into a deeper relationship with your beloved plant and give back to Mother Nature. But I digress--back to wildcrafting! In keeping with the spirit of respect, it’s nice to practice gratitude when harvesting plants. Although many herbalists view the plant kingdom as simply a body of useful materials, those who are spiritually-oriented feel that each plant possesses a consciousness and a spirit. To honor this spirit, it’s best to ask permission from the plant before harvesting. Express your intention to harvest, and wait to receive a response; it could be an answer in your mind or simply a feeling. Plants are natural givers, so it’s likely that permission will be granted. If not, there is probably a good reason for it--perhaps the plant is trying to protect you from a nearby patch of Poison Ivy, for example. I've also heard stories from herbalists who've asked permission to harvest and heard a distinct "No," only to walk a few more feet down the path and discover a much bigger, better stand of plants waiting for them. Trust the guidance of the plants, and trust your own intuitive senses to receive their guidance. During and after your harvest, give thanks to the plant. Be especially mindful when harvesting roots, for this usually requires taking the life of a plant. Many herbalists leave ceremonial offerings in return for their bounty. A bit of tobacco or cornmeal are traditional, but you can also leave a wooden bead, a lock of hair, or even a song—the important thing is that it has meaning for you. When you’re ready to harvest, there are several tips that will help you pick healthy plants for your medicine cabinet. For starters, be mindful of the area: Is there much pollution? Is there a chance of contamination from chemicals? Tempting though it may be, it’s best to avoid roadsides. I know it's exciting when you see gorgeous medicinals on the side of the road--they seem to call your name, saying "Pick me! I'm right here!" But consider all of the road trash, car exhaust, oil, and herbicides that land in those zones. Do yourself a favor and find those same plants elsewhere. Similarly, if you’re picking Dandelions from someone’s lawn, be sure they don’t use chemical fertilizers. In general, the more remote your location, the more pure the plants--with the exception of chemicals used in conventional farming. Avoid the edges of fields that are sprayed with pesticides or herbicides. Again, I know this can be a tempting prospect, as many medicinals grow in border zones. But trust me--you want to make healthy medicine to use and share with your family and friends. This may go without saying, but choose plants that look healthy, vibrant, and lush. Pick leaves that are green, not wilted, spotted, or browned. Use common sense--if a plant looks unhealthy or diseased, leave it alone. 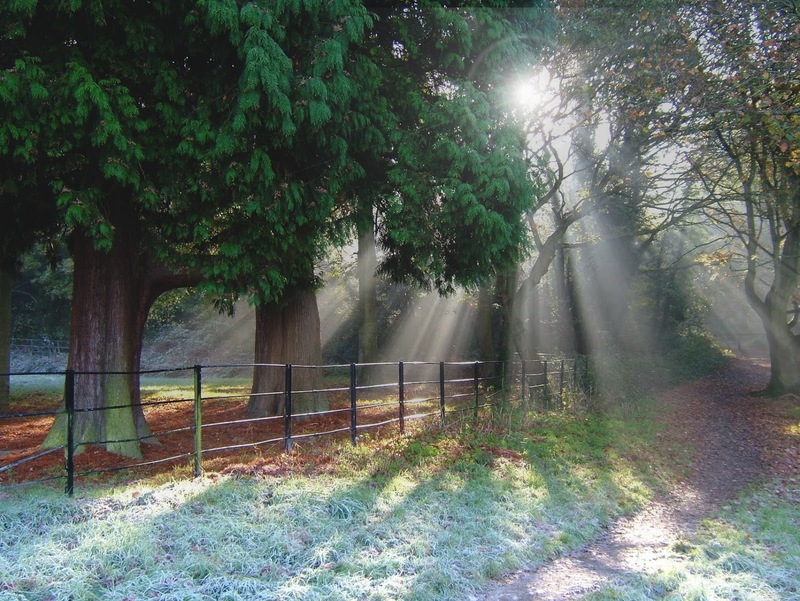 Consider your timing, as the rhythms of Nature are a crucial aspect of plant life. It helps to understand that each herb puts its energy into different parts of the plant at different times of the year. Spring is the best time to harvest leaves, because the plants are putting all of their vital energy into their green growth. After the plant begins to flower (the timing will vary depending on the plant), the leaves will lose some of their potency, as the energy has moved into the blossoms. Roots are best harvested in the fall, after the top portion has died back and the plant has pulled its essence underground. This may mean deferring gratification—perhaps you spot a bunch of Burdock in mid-summer, but wait until fall to harvest the roots. In today's society of instant-gratification, a little patience is a welcome lesson from our green friends. With these tips in mind, you’re well on your way to a happy and healthy wildcrafting session. If you keep your eyes and heart open, you can discover the joy of providing yourself and your loved ones with healthy medicines straight from the wild heart of Mother Earth. Sore throat? Ugh--we all know what that's like. If you're like me, the throat is often where a cold first takes hold. It starts with a feeling of dryness or a tickle. Then it progresses into actual soreness. If I'm not careful, I might end up with a full-blown head cold--but not if I catch it early enough and use herbal remedies (along with rest) to fend it off. Herbal throat spray is a big part of my strategy when it comes to preventing colds. I can often fend off a cold or flu by keeping throat spray in my purse and using it throughout the day at the first sign of a sore throat. While it might be tempting to reach for a conventional over-the-counter sore throat spray, these merely mask the symptom of pain are inferior for a couple of reasons. First, they only mask the symptom of soreness. They make your throat feel better for a while, but there is no real healing element in these sprays. In fact, it's just the opposite. They often contain artificial colors, flavors, and other chemicals--the last thing your body needs when its immune system is already compromised! Herbal throat sprays are a great alternative, because they are full of antibacterial and antiviral ingredients that help soothe your sore throat while also creating an uninhabitable environment for all kinds of viruses and infections. And because you end up swallowing the mixture, it will also give your immune system a boost. Throat spray also comes in handy even when you don’t feel sick. When you’re traveling, it can ease a dry throat caused by hotel rooms and airplanes. It’s nice to use before all kinds of performance, from speaking engagements to concerts. And if your voice gets hoarse during the show, you can use it again afterwards to get your voice back more quickly. 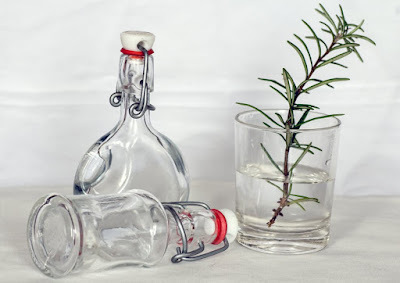 While there are several fine natural throat sprays on the market, it's far less expensive to make your own. It's also quite easy, provided that you can make a tincture. (Need some help with that? Here is a nice article that will teach you how.) Plus, the process fosters a deeper connection with your medicine. When you get involved with your own healing process, you create a strong intention for health that works with the mind, body, and spirit to foster healing on multiple levels. There are many plants with medicinal qualities to heal a sore throat and boost the immune system. I will list several so that you can pick and choose based upon your needs and what is available in your area. If you’ve never made a tincture before and are starting from scratch, it’s easiest to choose 2-3 plants to start out with. As you continue to dabble with herbalism, you can always add more plants to your brew. Of course, you can also purchase pre-made tinctures, but that will add more cost to your throat spray. 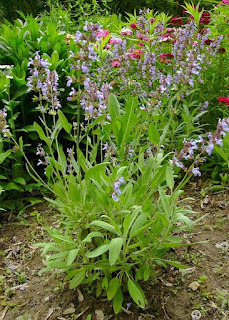 Sage: Specific remedy for sore throat; antimicrobial and antioxidant. Thyme: Highly antiseptic, anti-fungal and expectorant. 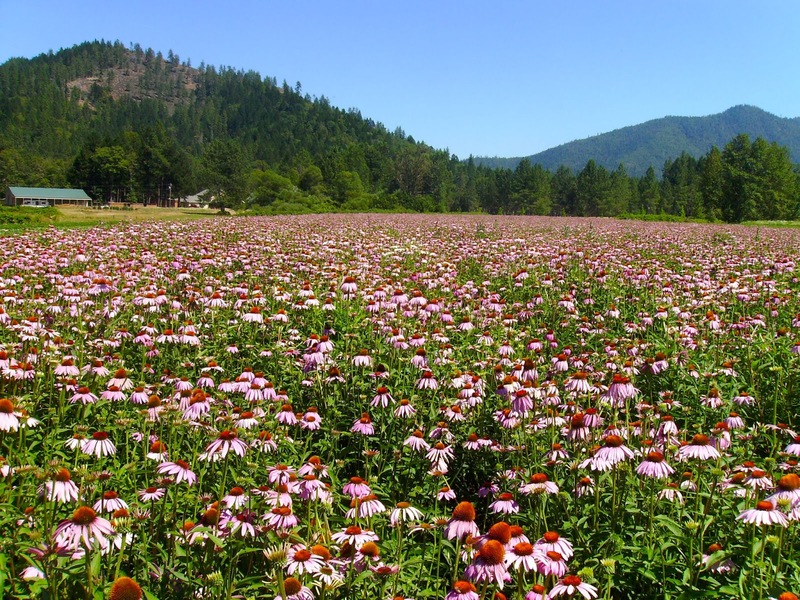 Echinacea: Superb immune-booster that heals all kinds of infections; anti-inflammatory to ease pain; also cleanses blood and lymph for detoxification. Red Root: Specific for sore throat, even severe conditions like mononucleosis, tonsillitis and pharyngitis. Horehound: Treats hoarseness and laryngitis; expectorant. Marshmallow: Has a soothing and softening effect; especially useful for dry throat. Elderberry: Tasty and sweet; antiviral and anti-inflammatory. Elderflower: Opens the throat for speaking and singing; also good for cold, flu and fever. 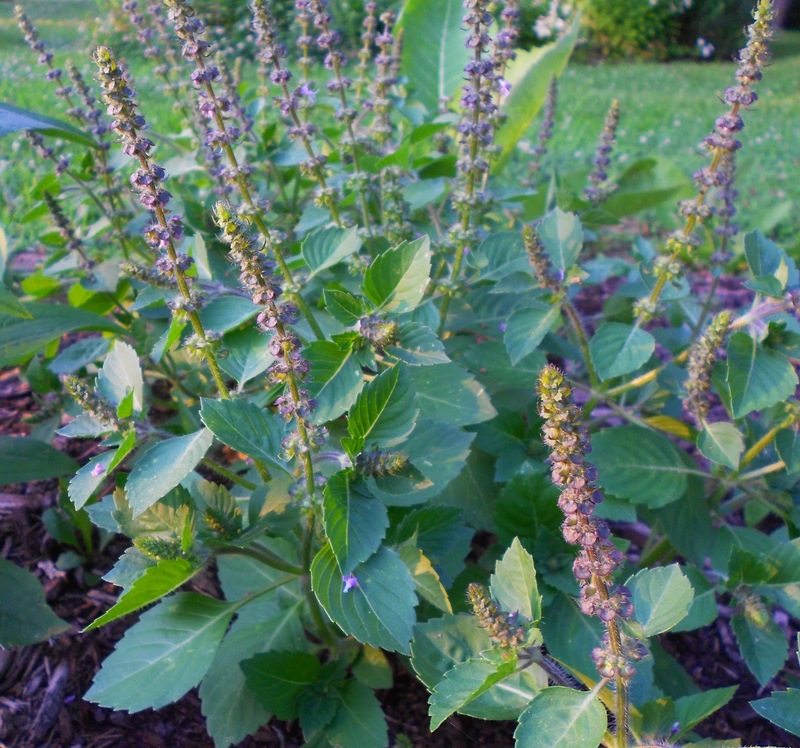 Tulsi/Holy Basil: Antioxidant, anti-inflammatory and antiviral remedy that adds a pleasant flavor. Tea Tree essential oil will really enhance the antiseptic qualities to nip any infection in the bud. Start with just a couple of drops and increase to tolerance. 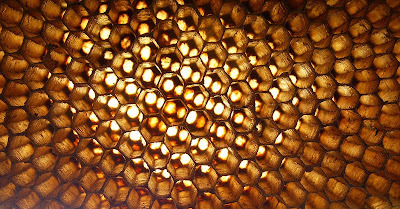 To sweeten the deal, stir in a bit of honey. 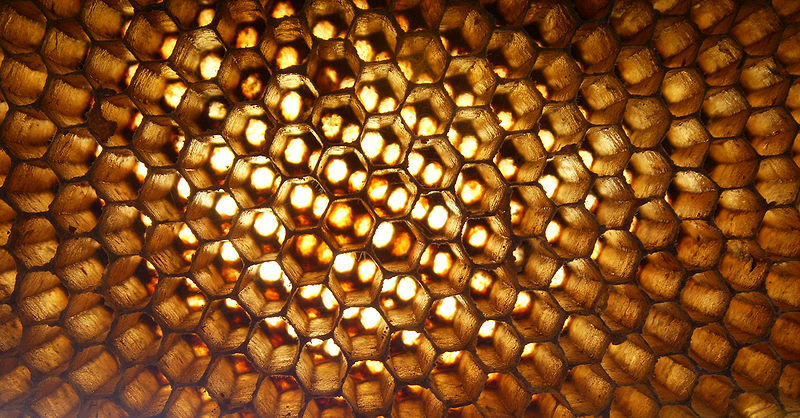 A supremely healing substance on its own, honey has natural antiseptic properties that will heal and soothe a sore throat. It also greatly improves the taste of your throat spray, which can be strong and bitter depending on which tinctures you add. A 1-ounce glass spray bottle is a great way to keep your throat spray handy and portable. If you make a larger batch, put the rest in an airtight glass jar, label it, and store it in a cool, dark place. Alcohol, essential oils, and honey are all natural preservatives, so your remedy will keep for a long time (we're talking years). It’s as simple as that! Herbal throat spray is a wonderful tool that will help keep you healthy everywhere you go. It also makes a nice homemade gift for family and friends. Like this Blog? Check out Sarah's New Book! Copyright 2016 Sarah Baldwin, all rights reserved. Picture Window theme. Theme images by konradlew. Powered by Blogger.